CMMG Rides are open to all motorcyclists and their passengers without conditions regarding type of motorcycle, affiliation or apparel. This includes CMMG's Annual Motorcycle Safety Awareness Rally, its annual Poker Derby and the Sadie Grimm Commemorative Ride. We only request that all participants respect other riders and the general public. As well, riders are reminded to do their pre-ride safety check and ensure that their licence and registration is up to date. 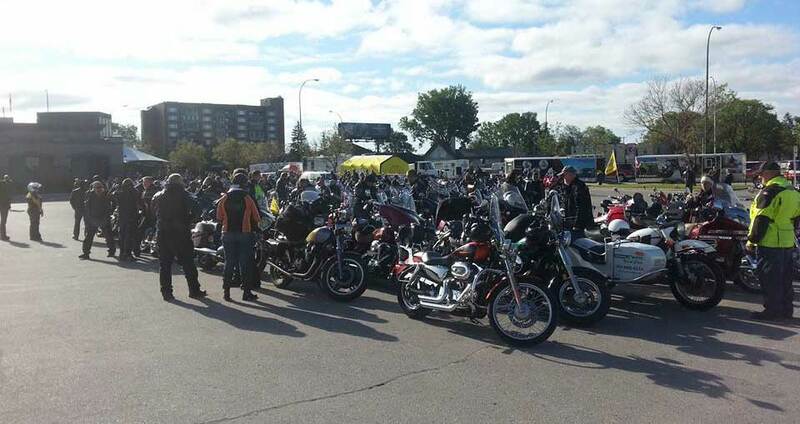 CMMGís Ride Guide and website endeavours to list the open rides of other motorcycle organizations; however, it is the responsibility of each organization to set its own rules for their rides. 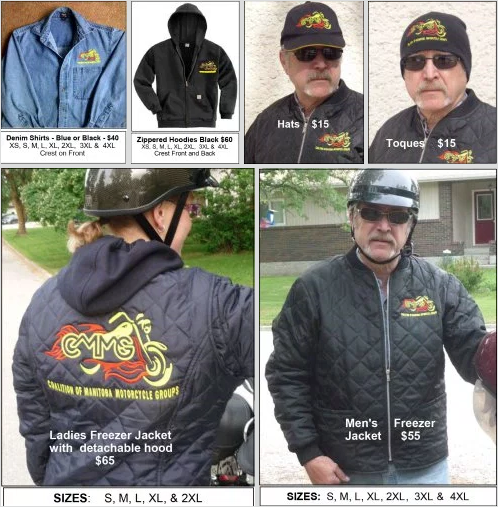 The Coalition of Manitoba Motorcycle Groups is the ONLY organization that goes to the Public Utility Board hearings and fights MPI to try to get fairer motorcycle insurance rates. They were instrumental in motorcycles seeing a large decrease in the cost of Fire, Theft, & vandalism insurance. They promote motorcycle safety & awareness. Membership is only $25 per year ($35 for a couple). Add your voice to the fight! CMMG depends on membership fees, merchandise sales and member involvement to continue its lobbying efforts for motorcyclists. Help suport the fight by purchasing some of the CMMG's quality clothing. The CMMG freezer jacket is an absolute must!